Political Cartoon by A.F. Branco 92018. Used with permission. 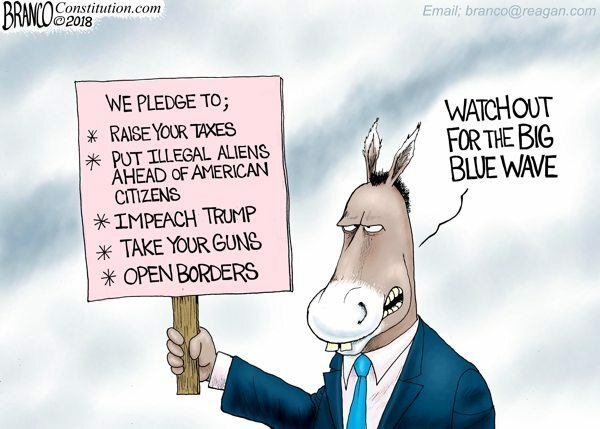 Democrats are pretty much running on a plan to raise taxes, impeach President Trump, ban guns, put illegals ahead of U.S. citizens and open our borders. All the while promising to create a big blue wave. Really? Political Cartoon by A.F. Branco 92018. Is Pelosi prepping to prance back as House Speaker?